In case you need an excuse to enjoy sweets, June is National Candy Month! 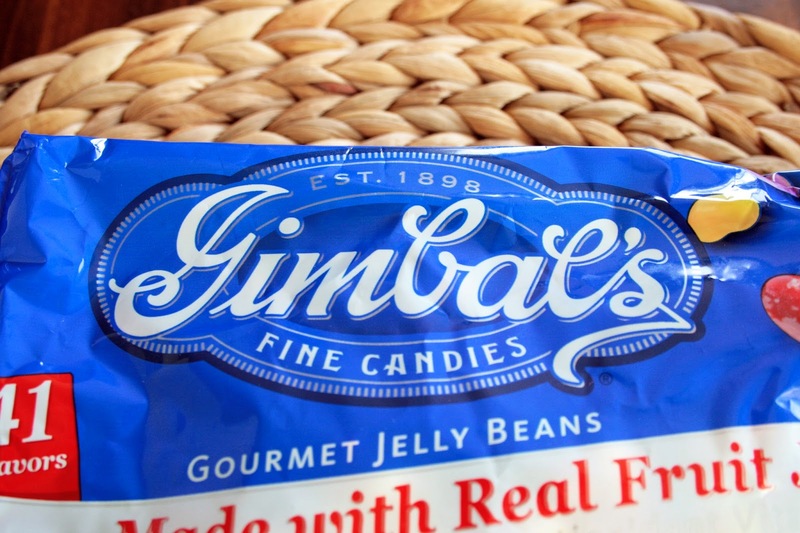 As such, I was given the opportunity to sample and review some products from Gimbal's Fine Candies. 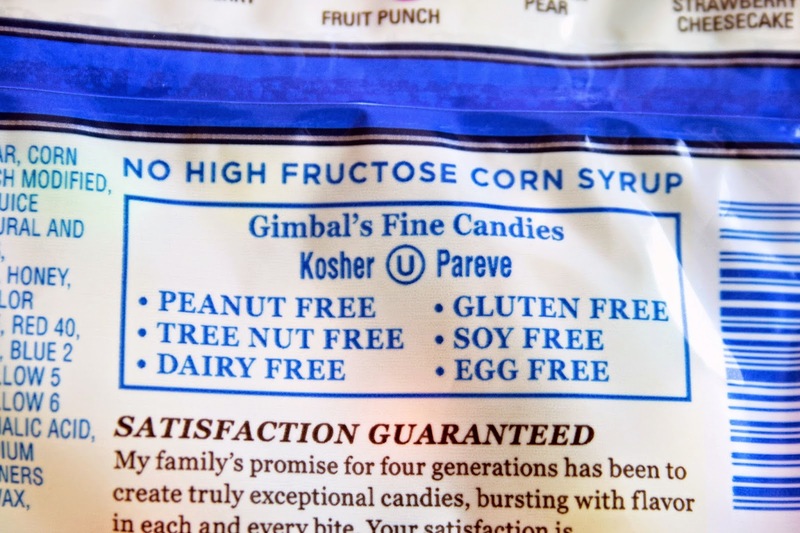 I had never heard of them before, but since I love trying new gluten free products, I definitely was excited to see what Gimbal's was all about. Being a fan of jelly beans anyway, I was interested to see how these compared to other popular brands. 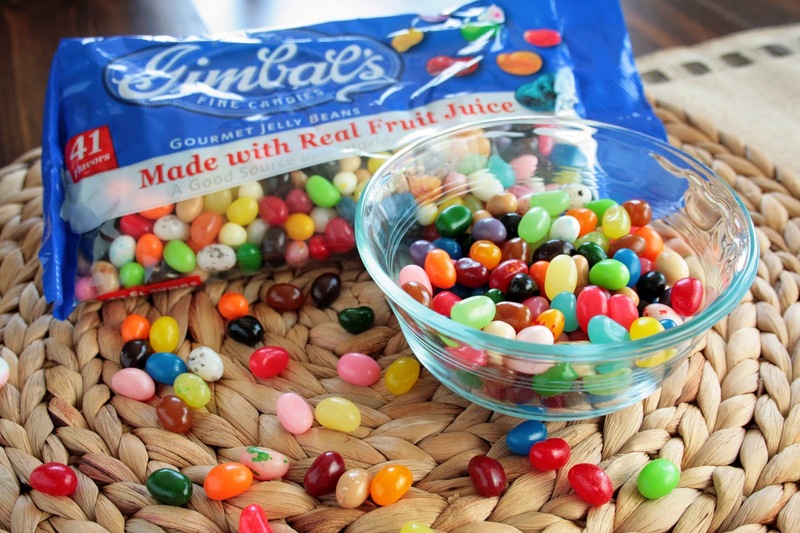 I have to say, Gimbal's jelly beans are far superior. 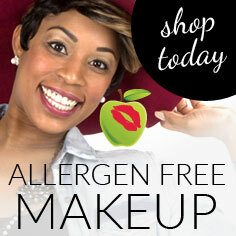 Since they're made with real fruit juice, they have great flavor and texture. There are 41 different flavors, and I loved mixing up different concoctions to see what I could come up with. So not only are these delicious, they're fun too! Of the three varieties I was sent, the sour were not my favorite. However, my sister and husband couldn't put these ones down. 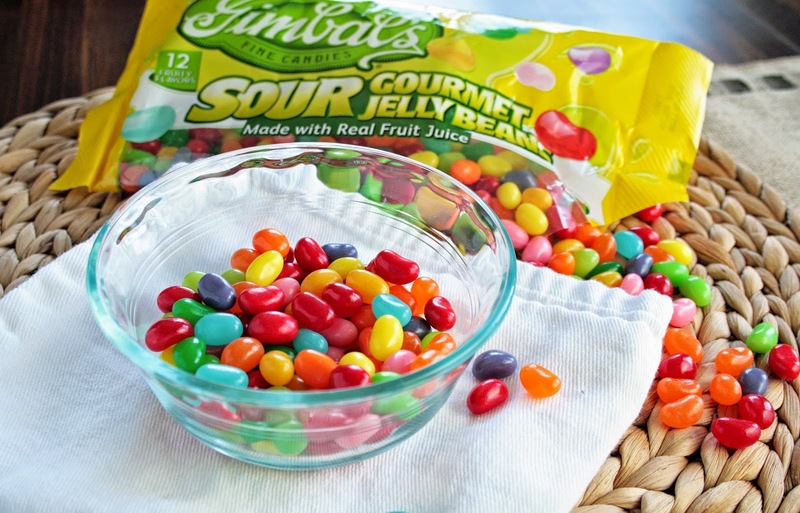 I guess you just have to be a fan of sour things to enjoy the sour jelly beans, and I am not. Made with real fruit juice, there are twelve sour flavors to enjoy. These little heart-shaped jelly beans were my favorite of the three. Normally, I am not a huge fan of cherry, but I had such a hard time not finishing of the entire bag of these cherry jelly beans in one sitting. 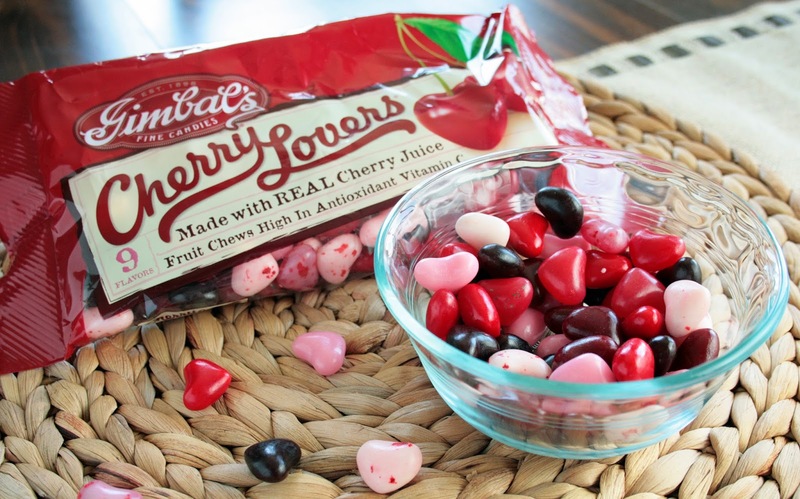 Made with real cherry juice and full of vitamin C, there are nine different variations of cherry flavors. My two favs were the cherry cheesecake and cherry vanilla. 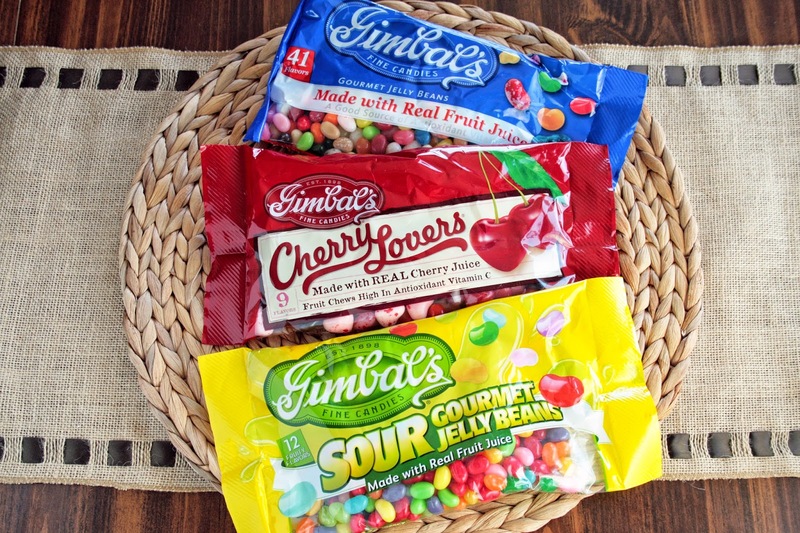 Since it's National Candy Month, and I love sharing products with you, I am going to give one lucky ready a bag of Gimbal's Original Gourmet Jelly Beans! All you have to do is use the Rafflecopter widget below to enter. Giveaway will begin 6/18/14 at 12:00pm EST and will end on 6/25/14 at 12:00pm EST. 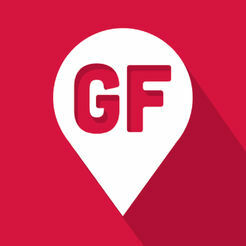 One winner will be randomly selected and notified within 48 hours via email.